More than 10 ha of park, gardens, meadows and woods, and access to a common relaxation area, including indoor and heated pool, sauna, solariums, fitness room, library, bowling alley, table tennis, table football, fitness trail, piano, bicycle rental. 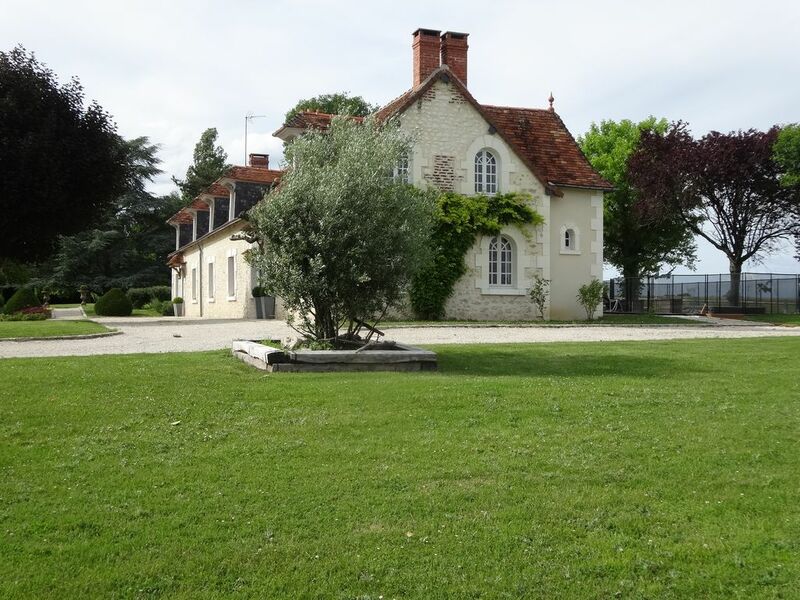 This beautiful "longère Berrichonne" spacious (12 people, 6 bedrooms, 360 m2 habitable) offers a swimming spa completely dedicated, 2 terraces + private park). An authentic decor. It is suitable for demanding clients, love of the land and heritage: Ground floor: kitchen "Berrichonne" fully equipped and overlooking a terrace, dining room open on a cozy and friendly lounge with fireplace, bedroom (160) with suite shower room and wc. Lounge / library with access to another terrace but especially to the Spa de nage. Toilet. Floor: 3 bedrooms (160), one with bathroom / wc, bedroom (bed 160) with shower room, bedroom (1 bed 130 and 1 bed 90), shower room and one bathroom, wc . Beds made up on arrival and towels / bath is provided. . Free WiFi, garden furniture, plancha. Open from 16/06/2019 to 16/09/2019. Belêtre. com This farmhouse is only rented for the whole week from Sunday to Sunday except by the owner's special agreement. The pool, spa and tennis court are on the property.